This astonishing Hadith Shareef proves that Sayyiduna Rasoolullah (sallal laahu alaihi wasallam) is the life of this world and everything in it. When he is the life of this world, then everything that happens in it is clear to him and nothing is concealed from him. Who then can deny that he is not Noor (light)? Some people believe the Holy Prophet (sallal laahu alaihi wasallam) to be a human being just like any other human being. The Ahle Sunnah Wal Jama’at believes that besides being Noor (light), the Holy Prophet (sallal laahu alaihi wasallam) is a most unique and perfect human being. After examining the authentic narrations from distinguished books, we see that the Aqeeda of the Sahaba-e-Ikram and of the great Scholars was that the Holy Prophet (sallal laahu alaihi wasallam) is a unique human being and there is no one that is like him, equal or similar to him. He is the most unique amongst the creation of Allah Ta?ala. Some people do not accept the Holy Prophet (sallal laahu alaihi wasallam) to be alive. They say that he is dead and mixed with the soil. Allah forbid! The Ahle Sunnah Wal Jama’at believes that the Holy Prophet (sallal laahu alaihi wasallam) is “Hayaatun Nabi”, that is, he is alive both physically and spiritually. Allah Ta’ala states in the Holy Quran: “And say not of those who are slain in the Way of Allah ‘They are dead’. Nay, they are living, though you perceive it not”. (al-Baqarah: 154) “Think not of those who are slain in Allah’s Way as dead. Nay, they are alive, finding their sustenance in the Presence of their Lord”. (al-Ale’ Imraan: 169) The above two Ayahs were revealed after the Battle of Badr. The Ashaabs (radi Allahu anhum) used to feel sorry for those who lost their lives in the battle, and used to say: “Alas, so and so has lost his life and has missed the pleasures of this world!” Allah Ta’ala revealed these Ayahs clarifying that the Shuhada (Martyrs) are not “dead” but are transferred from one place to another where they live and are fed by the Bounteous Lord who is not deficient of anything. If the Shuhada are not “dead”, how can we say that the greatest Apostle, Sayyiduna Rasoolullah (sallal laahu alaihi wasallam), is no more amongst us? Another proof supporting that the Ambiya are alive is that on the night of Me’raj, the Holy Prophet Muhammad (sallal laahu alaihi wasallam) passed by Sayyiduna Moosa (alaihis salaam). He saw him in his grave standing and reading his Salaah. Allah Ta’ala states in the Holy Quran: “And how would you deny faith while unto you are rehearsed the Signs of Allah and among you lives the Prophet”. (Sura al- ale’Imraan: 101) This is a typical Ayah proving Hayat-un-Nabi – “among you lives the Prophet”. The word “lives” has cleared all doubts. “Among you” has been generalised, meaning with every individual, wherever he or she may be regardless of time. Man’s vision and power of hearing is restricted, but it is not so in the case of Sayyiduna Rasoolullah (sallal laahu alaihi wasallam). His powers are far beyond imagination. If somebody says, “Where is the Prophet (sallal laahu alaihi wasallam)? I cannot see him! Why must I stand and read Salaam?” Surely, this statement is absurd because none of us has seen Allah Ta’ala and the Angels. Kiraaman Katibeen are two Angels constantly present with every individual. Can we deny their existence merely because we did not see them? It was declared in a Hadith, “When a person greets me, Allahu Ta’ala sends my soul to my body and I hear his greeting.” Some people quoting this Hadith say that the Prophet (sallal laahu alaihi wasallam) is not alive since his soul returns to his body only when he is greeted. Imam Jalaal’uddeen as-Suyuti (alaihir rahmah) said in the book “Anba’ al-adhkiya’ fi hayat il-anbiya” that “radda” means “ala al-dawam”, i.e. permanently, and not temporarily: in other words, Allah does not return the soul and take it back, then return it again and then take it back again, but He has returned it to Rasoolullah (sallal laahu alaihi wasallam) permanently, and the Prophet (sallal laahu alaihi wasallam) is alive permanently, not intermittently as some ignorant people have suggested. Another explanation of this Hadith is that Rasoolullah (sallal laahu alaihi wasallam) is in the ecstasy of seeing Jamaal-Allah (Allah’s Beauty) and forgetful of his bodily senses. Such situations are not scarce in this world, either. One does not hear what people say to one when one is in a deep thought of worldly or heavenly affairs. Can someone who is in ecstasy of contemplating Jamaal of Allah hear any sound ? On the Day of Qiyamah, all the people will congregate and they will say among themselves, “We wish we could find some one to intercede for us in the Court of Allah Ta’ala so that He may give us comfort at this point.” They will go to Sayyiduna Adam (alaihis salaam) and ask him to intercede for them. He will tell them to go to Sayyiduna Nooh (alaihis salaam) as he is the first Nabi that Allah Ta’ala sent towards the people on earth. Sayyiduna Nooh (alaihis salaam) will tell them to go to Sayyiduna Ibrahim (alaihis salaam) as he is the Friend of Allah Ta’ala. He in turn will tell them to go to Sayyiduna Moosa (alaihis salaam) as he is a special servant of Allah Ta’ala. He will say to them to go to Sayyiduna ‘Isa (alaihis salaam) as he is the special servant and Rasool of Allah Ta’ala, and His Kalma and His Rooh. Some people believe that Allah Ta’ala is “Omnipresent”, that is, Allah Ta?ala is Present and Over-looking at every time and at every place. They believe Allah Ta?ala to be “Haazir” and “Naazir”. This is not true, as Allah Ta’ala is not bound by time and space. Allah Ta’ala is Present and Seeing from eternity without time and without space. Allah Ta’ala’s Attributes, namely, Life, Knowledge, Power and Speech, are without time and without place, so are Allah Ta?ala?s other attributes. Allah Ta’ala’s Attributes always exists and will continue to exist till eternity. There is a great difference between Allah Ta’ala being Present and the souls of His creation being present. No one is present like Allah Ta’ala being Present. The Angels, the souls of Prophets, the souls of the Awliya Allah and the souls of pious Muslims are present at any place where they are called. They were non-existent, before being present. They will seize to exist after a while. The souls of the creation were absent before it became present there, and will be absent some time later. The presence of the souls is with time and with place. Now that we have explained the concept of Allah Ta’ala being Present and clarified our position with regards to the station of the souls in this respect, we will explain the concept of Haazir (present) and Naazir (over-looking) of the Holy Prophet (sallal laahu alaihi wasallam).It is the belief of the Ahle Sunnah Wal Jama?at that the Holy Prophet Muhammad (sallal laahu alaihi wasallam) is given power by Allah Ta’ala to be Haazir and Naazir. Some persons say that the Ahle Sunnat Wa Jamaat believes that the Holy Prophet Muhammad (sallal laahu alaihi wasallam) is present like Allah Ta?ala is Present. This is totally false because the Ahle Sunnah Wal Jama’at does not have such a belief. The Ulema have used the words “Haazir-o-Naazir” for Rasoolullah (sallal laahu alaihi wasallam). Allah Ta’ala states in the Holy Quran: “How then if I brought from each people a Witness and brought you (O Muhammad) as a Witness against these people”. (Sura al-Nisa: 41) This proves that each Prophet is a Witness for his Ummah, for those who accept Allah Ta’ala and those who reject Him. It also proves that Sayyiduna Rasoolullah (sallal laahu alaihi wasallam) was present before each Ummah, witnessing their deeds. It is reported by Sayyiduna Abdullah bin Umar (radi Allahu anhuma) that Sayyiduna Rasoolullah (sallal laahu alaihi wasallam) said: “Indeed this entire world is in front of me so that I can observe everything in it. I can see everything in this world and everything that will take place till the Day of Qiyamah. I see the entire world as I see the palm of my hand”. (Mawahib-e-Ladunnia) This Hadith Shareef substantiates the belief of the Ahle Sunnah that Sayyiduna Rasoolullah (sallal laahu alaihi wasallam) is Haazir and Naazir. Sayyiduna Qazi Abu Iyaaz (alaihir rahmah) writes in his “Shifa” that Sayyiduna Amr bin Dinar (radi Allahu anhu), a Taba’in and Faqih of Makkatul Mukarramah, said: “If you enter a house and find that there is nobody there, say ‘May Peace and Blessings of Allah be upon the Holy Prophet (sallal laahu alaihi wasallam)'”. Writing a commentary on this Hadith Shareef, Sayyiduna Mulla Ali Qari (alaihir rahmah) says: “This is so because the soul of the Prophet (sallal laahu alaihi wasallam) is present in every Muslim home”. Sayyiduna Ali Hameed Saaidi (radi Allahu anhu) has reported that the Messenger of Allah (sallal laahu alaihi wasallam) said: “If any of you enters the Mosque, send Salaams to me, followed by this Du’a: ‘O Allah! Open your Door of Blessing for me'”. (Abu Dawud, Ibne Majah, Baihaqi) This Hadith proves that Sayyiduna Rasoolullah (sallal laahu alaihi wasallam) is present in every Mosque of this world and according to Islam, the entire earth is a Mosque for the Muslims, as reported by Sayyiduna Jabir bin Abdullah (radi Allahu anhu) that Sayyiduna Rasoolullah (sallal laahu alaihi wasallam) said: “The entire earth has been made a Mosque for me”. (Bukhari Shareef) Thus, the Prophet (sallal laahu alaihi wasallam) is present everywhere on earth! Thus we have learnt that Sayyiduna Muhammad (sallal laahu alaihi wasallam), through the Light (Noor) of his Prophethood, knows the faith of every faithful and the degree of his Imaan and also the obstacles which stand in the way of a faithful’s spiritual advancement. The Holy Prophet (sallal laahu alaihi wasallam) knows our sins, and our spiritual status, and our good and bad deeds, and our sincerity and hypocrisy. His witness is the most acceptable in favour of his Ummah. Besides Shaitaan, even Angels have this ability. The Holy Qur’aan says: “…when death comes to any of you, Our Angels take his soul and they do not fail ” (Surah al-Anaam: 61). Relating to this it is written that, “For the Angel of Death the whole of the Earth is like a tray, so that he may take the souls as he pleases. There is no difficulty for the Angel of Death to take souls, even though there are many and at many different places !” (Tafseer Kabir Khazeen; Ruh-ul-Bayaan)The speed of Jibra’eel (alaihis salaam) is such that, when Nabi Yusuf (alaihis salaam) was thrown into the well, Jibra’eel (alaihis salaam) travelled from Sidratul Muntaha to the bottom of the well. When Nabi Ibraheem (alaihis salaam) was about to sacrifice Nabi Ismail (alaihis salaam) and had his knife on the neck of Nabi Ismail (alaihis salaam), Jibra’eel (alaihis salaam), travelled from Sidratul Muntaha to the earth with a Ram. The above events relate to an Angel and it’s abilities, but men of Allah (Awliya Allah) are also imbued with such powers. Asaf ibn Barkhiya’s taking the throne of Bilqis (the Queen of Sheba) to Sayyiduna Sulaiman (alaihis salaam) is also reported in the Holy Quran, Surah Naml, Verses 39 and 40.
l these people see the Holy Prophet (sallal laahu alaihi wasallam) at the same time and are asked the same question. This is ample proof that the Holy Prophet (sallal laahu alaihi wasallam) by the Grace of Allah Ta’ala can present himself in many places at the same time. All the ‘Ulama of Ahl as-Sunna agree with this. 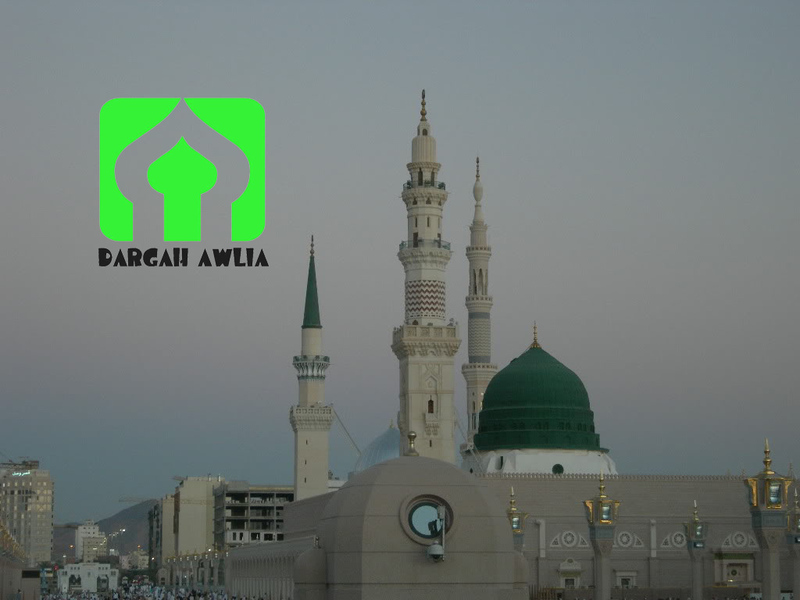 The Holy Prophet (sallal laahu alaihi wasallam) is reported to have said, “I saw Prophet Moosa in the valley of Azraq, while passing from Makka to Madina. He was reciting ‘Talbiah’ in a loud voice. It is recorded that Sayyiduna ‘Umar (radi Allahu anhu), who was delivering a Khutba in Madina Shareef, was able to see Sayyiduna Sari?ah (radi Allahu anhu) and the rest of the Muslim army who were in Persia. Sayyiduna ‘Umar (radi Allahu anhu) called out a warning to Sayyiduna Sari?ah (radi allahu anhu), who heard the calling of Sayyidunah ‘Umar (radi Allahu anhu). (Mishkaat Shareef) This narration illustrates two points: Firstly, the Sahabi was able to see what was happening hundreds of miles away. Secondly, the other Sahabi was able to hear his call from hundreds of miles away. The Holy Prophet Muhammad (sallal laahu alaihi wasallam) said: “Recite Durood Shareef abundantly on Fridays since it is a day of witnesses. Angels present themselves there. When any servant recites Durood, no matter who and where he is, his voice reaches me”. (Jila’ul Ifhaam; Az ibn Qayyim As Salaatu was Salaam) It is clear from this Hadith Shareef that the belief of the Ahle Sunnah Wal Jama’at is correct because the Holy Prophet (sallal laahu alaihi wasallam) himself said that the person who recites Durood Shareef upon him from whichever place, the voice of that person reaches him. 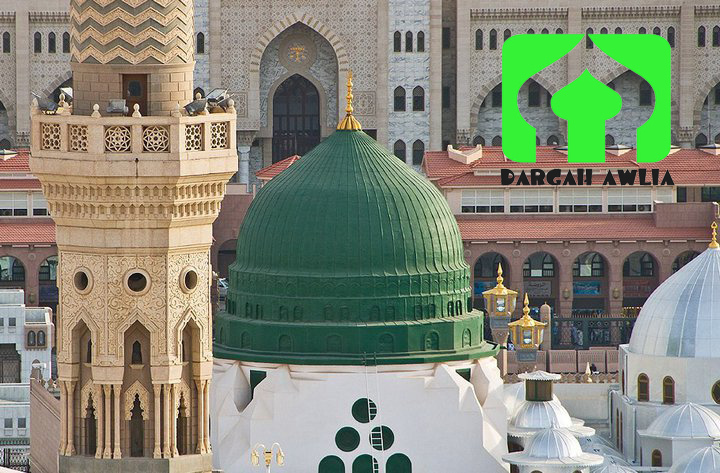 Another Hadith Shareef says that the Durood Shareef is presented to the Holy Prophet (sallal laahu alaihi wasallam): “When a person recites Durood Shareef, then an Angel takes it and goes up and presents it before Almighty Allah. Allah Almighty says, ‘Take it to the Mazaar of my Beloved servant, Muhammad (sallal laahu alaihi wasallam) so that he may make Du’a-e-Bakhshish for the person who sent the Durood and he may gain coolness in his eyes’.” From this Hadith Shareef it is obvious that the Durood Shareef is first taken to Allah Ta’ala, and then presented in the court of the Holy Prophet (sallal laahu alaihi wasallam). Some people argue that if the Prophet (sallal laahu alaihi wasallam) hears the Durood, then what need is there for the Angels to present it to him? This argument is not only contradicting the power of hearing of the Holy Prophet (sallal laahu alaihi wasallam), but it is also contradicting the power of Hearing of Allah Ta’ala as well since the Durood Shareef is first presented in the Court of Allah Ta’ala. Does this mean that Allah Ta?ala cannot hear from far and near? Therefore, the argument is baseless. 2. It is Ja’iz (Permissible) to call the Prophet (sallal laahu alaihi wasallam) for help. Imaam-e-A?zam Abu Hanifa (alaihir rahmah) writes that Haaris ibn La’man and Haarisa bin Na’man (radi Allah anhuma) have said that: “Once I went to the Prophet (sallal laahu alaihi wasallam). The Prophet (sallal laahu alaihi wasallam) asked me a question, ‘Oh Haaris, in what state did you pass the day?’ I replied, ‘As a true Muslim.’ Then the Prophet (sallal laahu alaihi wasallam) asked me the state of my Faith. I replied, ‘I see the Throne of Allah and the people of Paradise helping each other and the people of Hell lamenting in Hell. I see in front of me Eight Heavens and Seven Hells as clear as idol worshippers see their idols. I can recognise each individual just like a grinder can recognise wheat from barley that is, who is to go to Paradise and who is to be found in Hell. In front of me people are like fish and ants. Shall I stay silent or continue to speak? '” The Prophet (sallal laahu alaihi wasallam) told him to stop and say no more. (Fiqah Akbar) This narration illustrates the sight of a Sahabi (Blessed Companion of the Prophet). He could see the Throne of Allah, the Heavens, the Hells and their inmates! Imagine the sight of Rasoolullah (sallal laahu alaihi wasallam)! It is mentioned in the Holy Quran that Sayyiduna ‘Isa (alaihis salaam) made a bird out of clay, blew into it, and then, with the Command of Allah Ta’ala, it began to fly. The Holy Quran also mentions that Sayyiduna ‘Isa (alaihis salaam) cured the blind, the lepers and brought back the dead back to life with the Command of Allah Ta’ala. All these incidents prove that Nabi ‘Isa (alaihis salaam) was able to give benefit to those who sought his assistance. How can one dispute that our Nabi Muhammad Mustapha (sallal laahu alaihi wasallam), who is superior to Nabi ‘Isa (alahis salaam), is not in control of giving benefit or loss to anyone? Once, Sayyiduna Maghir (radi Allahu anhu) committed a grave sin so he went to the Holy Prophet Muhammad (sallal laahu alaihi wasallam) and asked him to purify him. Although the Sahabi-e-Rasool had sinned against Allah Ta’ala, he asked the Holy Prophet (sallal laahu alaihi wasallam) to purify and cleanse him because he knew that the Holy Prophet (sallal laahu alaihi wasallam) would give benefit to him. Sayyiduna Rabia (radi Allahu anhu) said in the court of the Holy Prophet (sallal laahu alaihi wasallam): “I ask from you that I may be in Jannah with you.” (Mishkaat; Mirkaat)It is obvious from these Ahadith that the Holy Prophet (sallal laahu alaihi wasallam) is the one who distributes throughout the universe and he who is a distributor in the entire universe definitely has the power of giving benefit. Some persons believe that it is not permissible to seek a Wasila (mediation) when making Du?a to Allah Ta?ala. They say that you should make Du?a directly to Almighty Allah. The Aqeeda of the Ahle Sunnah wal Jama’at is that to seek the mediation of Rasoolullah (sallal laahu alaihi wasallam) is permissible or allowed by the Shari?ah. With regards to this Hadith Shareef about the blind man being asked to make Du?a with the Wasila of the Holy Prophet (sallal laahu alaihi wasallam), Sayyiduna Allama Abdul Ghani Delhwi (radi Allahu anhu) says, “It proves the permissibility of mediation and that of the Prophet’s (sallal laahu alaihi wasallam) intercession. This command is that during his life, but also after his demise.” (Misbahus Zijaja Bar Hashia ibn Maja) Thus, one is allowed to seek the Wasila of the Holy Prophet (sallal laahu alaihi wasallam) even after his demise. To believe that the Holy Prophet (sallal laahu alaihi wasallam) learnt or sought knowledge from any creation is a false belief. According to the Ahle Sunnah Wal Jama’at, the Holy Prophet (sallal laahu alaihi wasallam) is the teacher of the entire universe. The Holy Quran says: “And Allah taught you that which you did not know and great is the grace of Allah upon you.” (Part 5, ruku 14) This verse again proves that the Holy Prophet (sallal laahu alaihi wasallam) was not taught by any creation. 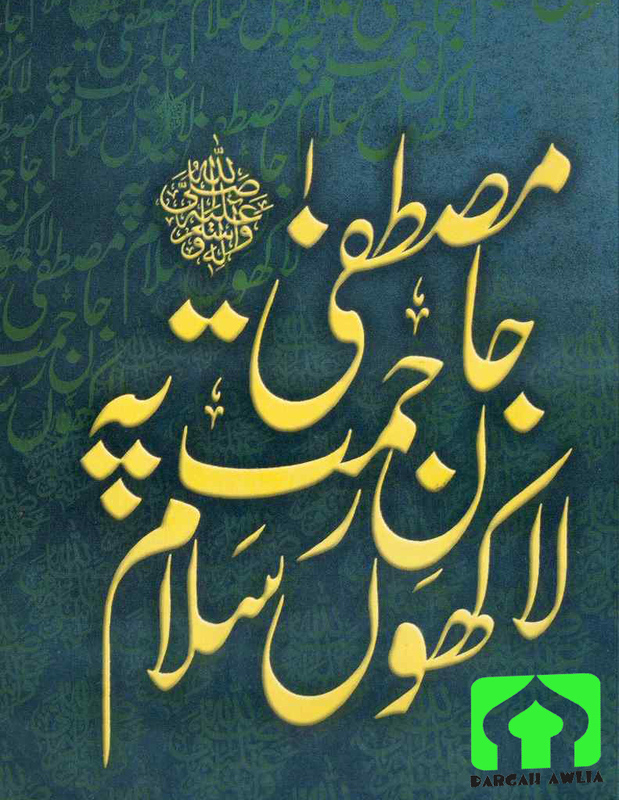 The Holy Prophet (sallal laahu alaihi wasallam) is the teacher of the entire universe and Allah Ta’ala has taught every language to the Holy Prophet (sallal laahu alaihi wasallam).